Seller says bring all offers! 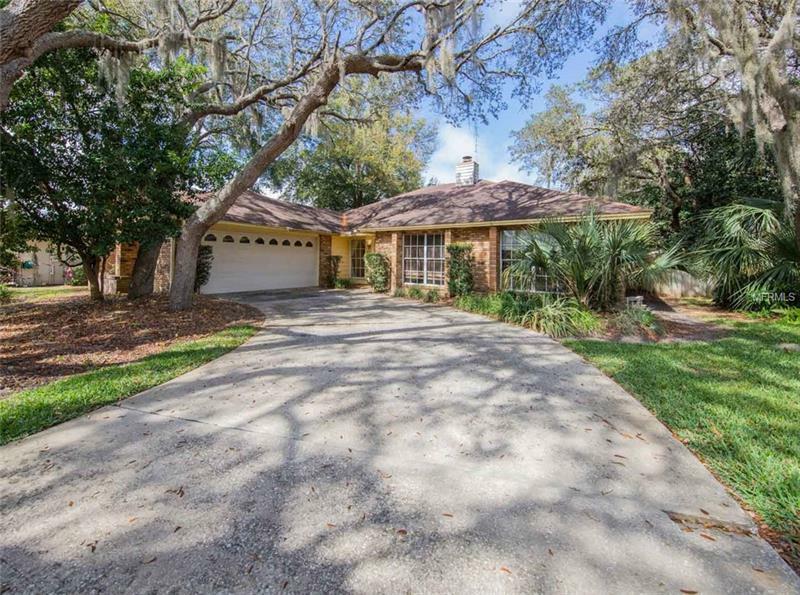 Don't miss out on this beautiful home located in the wonderful subdivision of Wekiva Cove. This 4 bedroom 2 bath home with a screened in pool and over sized patio will prove to be your dream home. This home is nestled in a quiet cul-de-sac that is peaceful and quaint. Great for the family to ride their bikes out front with minimal traffic. This home boasts over 2300 sq ft of living space and each of the bedrooms are over sized and great for any family! The master bedroom is massive and roomy with a private entrance with french doors leading out to the pool from the bedroom. The living room boasts 2 skylights giving off natural light and a beautiful wood burning fireplace. The over sized patio and pool with be the envy of your friends as you host summer pool parties or relax and enjoy the beautiful view of the pond located behind your home. The fenced in back yard is a perfect Florida maintenance free area. Plenty of room for the family dog to run around and burn off energy. Your family will fall in love with this home and the neighborhood and the great schools located nearby. Tons of shopping and restaurants are within minutes of this home. So stop by and view this home before it is gone and make this your dream home!